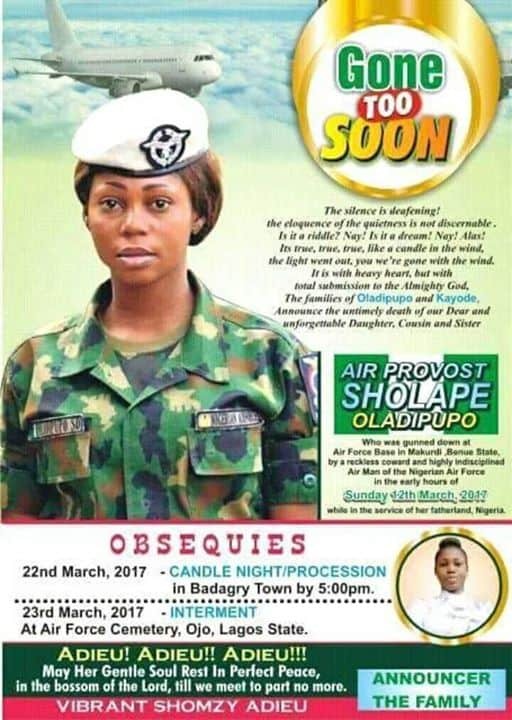 The Nigerian Air Force Aircraft personnel who was shot and killed by her colleague and lover over allegation of promiscuity has been buried in Lagos. 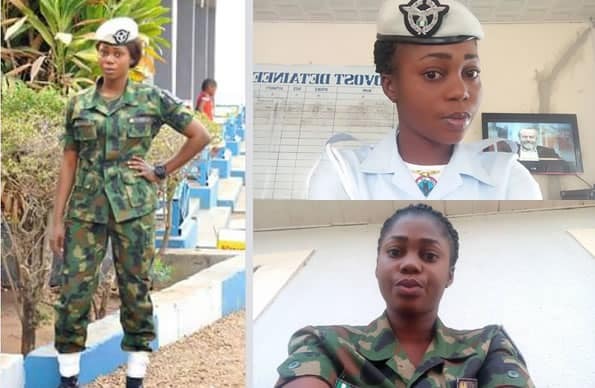 Solape Oladipupo, popularly known as Shomzy Shomzy to her friends and colleagues, was shot dead at the Air Force Base in Makurdi on Sunday, March 12 by her jealous lover, Aircraft man, B. A Kalu. Her killer, who accused her of double dating, has since been arrested and is being held by the air force authorities after he failed to take his life, despite leaving a note behind. 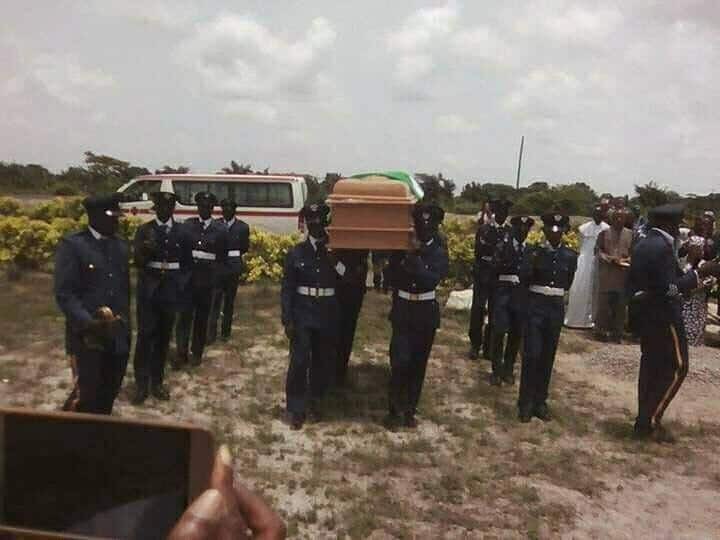 Shomzy Shomzy, as she was called by those close to her, was buried at the air force cemetery, Ojo today, March 23, with her family members, relatives and friends struggling to come to terms with her tragic death. 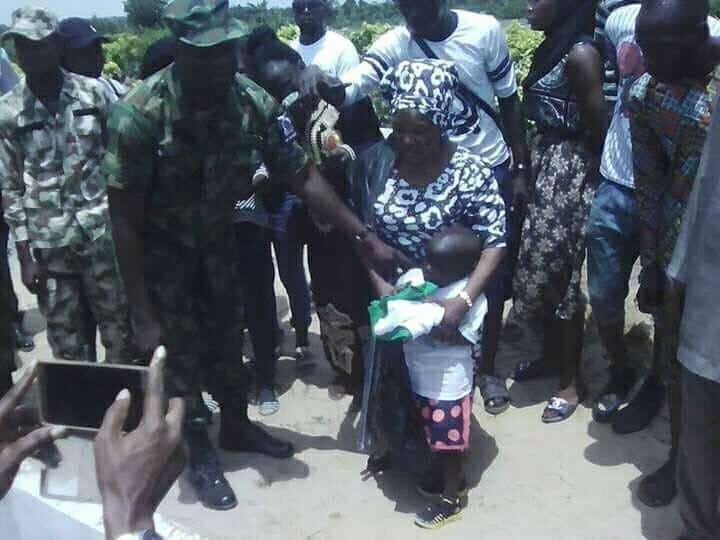 Her family and friends are however demanding justice for her death. 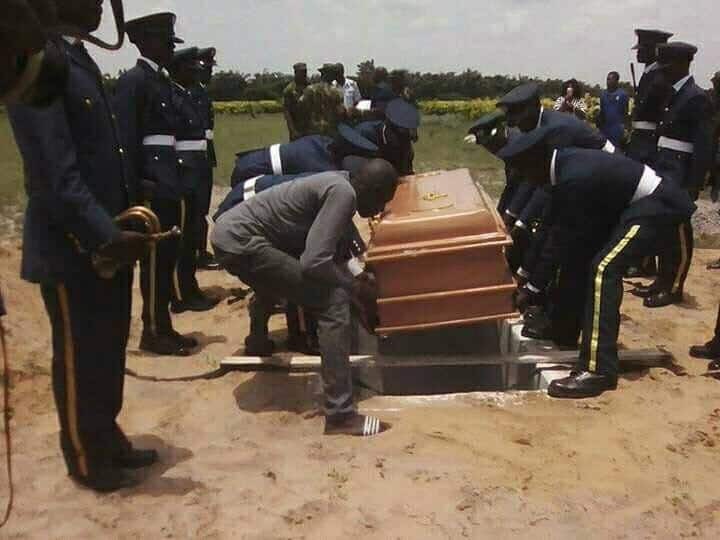 0 Response to "Air force officer killed by jealous lover is buried in Lagos"